← Christmas 2016: Hershey’s Decorative Foil Holiday Kisses Exclusives! Today’s post is one I am especially excited to publish as the Bonanza bar has been on my list of lost-to-history brands I’ve long sought to uncover evidence on. Until today, there have never been images or references to the Nestle Bonanza bar anywhere online – not a single mention – it was un-Google-able – but no more. This entry is not only about the Bonanza bar, but about how two similar product launches can lead to very different outcomes. So make the jump to check out Nestle’s long forgotten Bonanza bar! As you can see, the initial campaign took an old-west theme, which makes a lot of sense if you put the launch into perspective. Just a few years earlier, the Bonanza television show featuring the adventures of Ben Cartwright and his sons launched to huge ratings across the country. By 1964, the Bonanza television program was a favorite entertainment to millions of consumers and we can assume that Nestle believed it would be the perfect brand name to choose because of that fact. I’m going to cover more on the implications of the Bonanza bar launch shortly, but first I want to cover the most exciting element of today’s post – my recent acquisition of an actual Bonanza bar. Publishing these kinds of images is especially satisfying for me knowing that the Bonanza bar will no longer be lost to history and is finally being documented. With great care and patience, I flattened the wrapper and endeavored to clean the residual guck that was left on it (a mix of the original adhesives that sealed the wrapper along with oils from the bar itself – a strange kind of greasy residue). 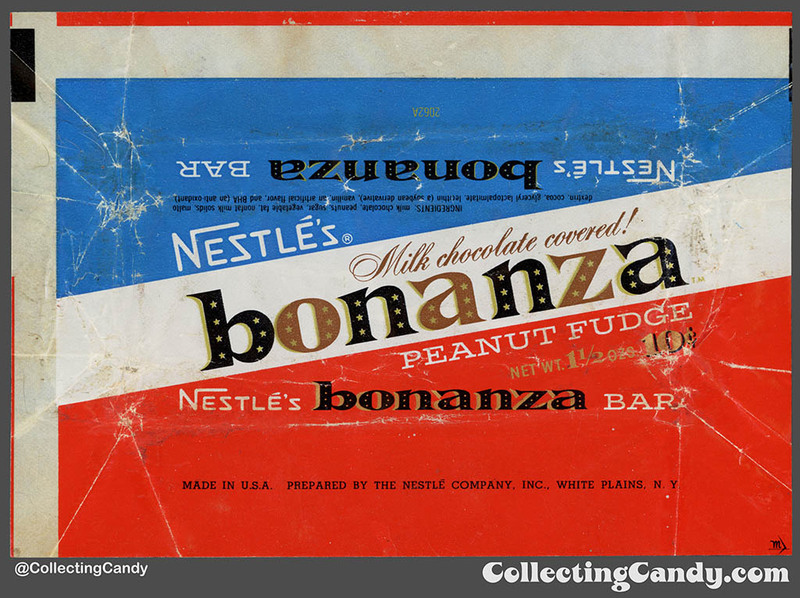 The result is a great look at (and currently the only known image of) the original Nestle Bonanza bar wrapper from 1964. Here it is! Isn’t that a beauty? I love it! Now, for those of you with a historical interest, you may note that this wrapper shares some design commonalities with another Nestle launch from 1964, the $100,000 bar (now known as Nestle’s 100 Grand). And that brings me to our tale of two product launches. So both bars shared remarkably similar origins and yet one went on to become an iconic American brand recently surpassing 50 years on store shelves, while the other one only made a brief retail appearance before it disappeared and was forgotten (until today). Unless someone with inside knowledge of the situation from that time comes forward with new information, it is unlikely that the tale of what made one a hit and the other one not will remain historical speculation, but at least now we can look back and wonder. And that is everything I’ve got on the (previously) forgotten Nestle Bonanza bar and the tale of two product launches. I hope you’ve enjoyed the look back and I’ll see you next time! This entry was posted in 1960's, Chocolate, Nestle and tagged 100 Grand, 1960's, 1960's candy, Bonanza, candy collecting, candy collection, candy collector, candy wrapper collection, candy wrapper collector, collectible, collecting candy, confectionery, confections, cowboy, cowboys, history, Nestle, old west, packaging, packaging design, product launch, sweets, vintage candy wrappers, wrapper. Bookmark the permalink. 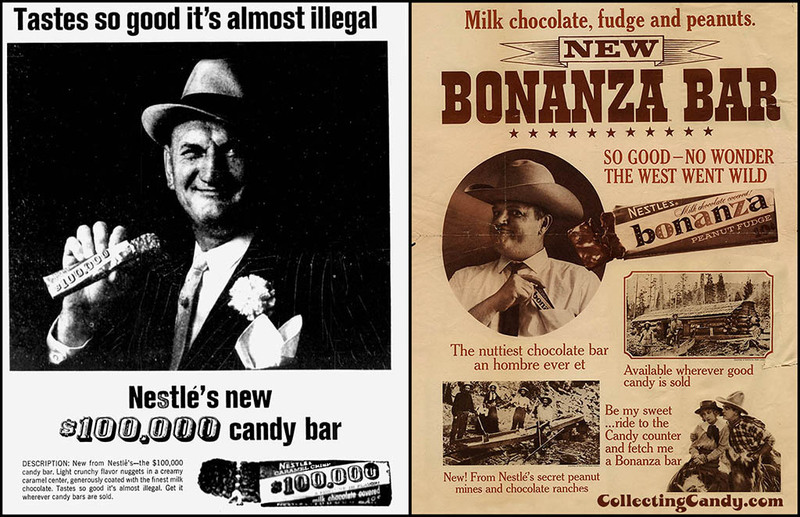 12 Responses to Nestle’s Long Forgotten Bonanza Bar and A Tale of Two Product Launches! Fascinating! 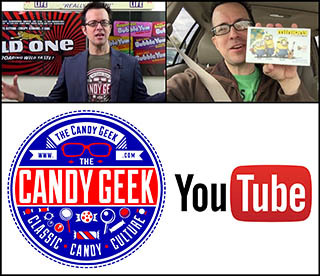 A great exploration of candy history. Thank you for sharing this. I had never heard of it until your blog. That candy bar managed to look not too bad for being over 50 years old! To access contemporary articles on stuff like this I use Google Books. It seems from 1964-67 it was test marketed in Buffalo, NY and Portland, OR and 1967 was supposed to be the year of national distribution. Great bit of confectionery research John – and from a surprising source! Thanks! Awesome find! I enjoy your photos on instagram and have now found your website. As a mid and on my route was a McKay’s .market that sold bonanza bars. The were in a large metal tub at the front of the store. Hi, I am from Erie Pa. and remember my Grandma giving me a Bonanza bar in the mid to lat 1960’s. I liked it so much I asked for a second one! Since that time, I have not seen or heard anything about them and was beginning to wonder if I had imagined that candy bar because no one else in my age group remembered them. Thanks for the post and article, now I know for sure they were NOT a figment of my imagination! Don’t know why they didn’t stay around, they were delicious! 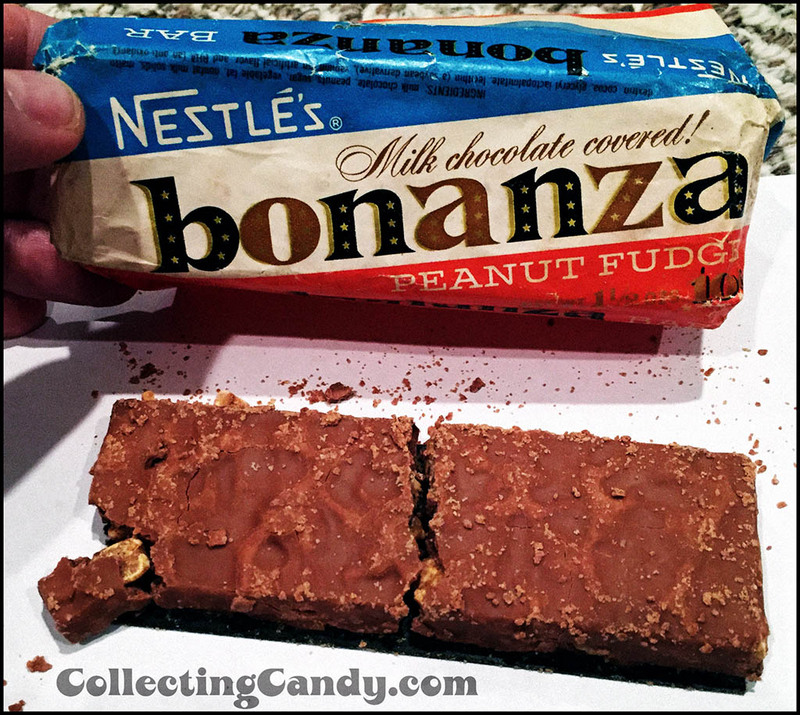 I was a very fortunate child as my mother actually had worked for NESTLE’S and use to bring home Bonanza bars as well as many others on occasion. 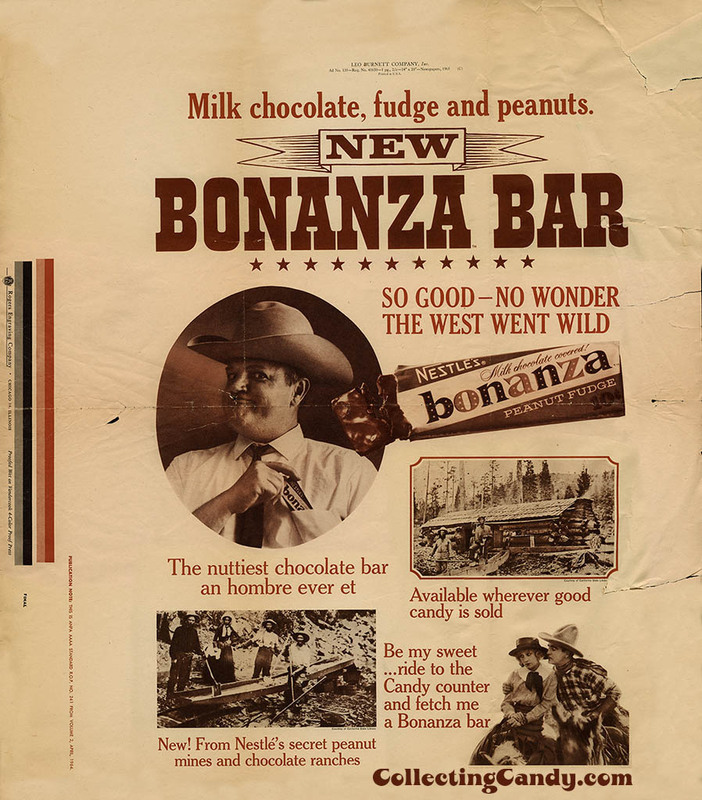 My most favorite was the Bonanza Bar and only wish that they would bring it back on the market today. Oh wow, Sheryl, that’s amazing!! Still longing for Nestle’s Triple Decker bar….. The search area here did not bring it up, sadly.